Pune: Having ticked off all the boxes during an eventful 2016, a 'hungry' Leander Paes is in search of a new partner with an aim to take his coveted Grand Slam titles tally to 20. 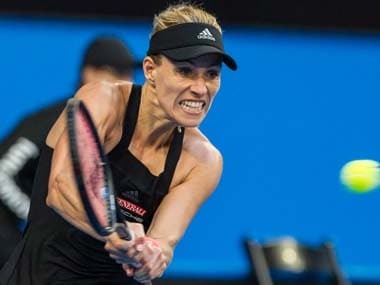 The 43-year-old veteran completed a career Grand Slam in mixed doubles when he won the French Open with Swiss great Martina Hingis, early this year. "I have hit all my targets in a tough year. It's been a rough one. To be able to hit my targets, I am very happy. Now, I will take a couple of weeks off and spend time with my daughter and dad. My benchmark is to get 20 Grand Slams. Once you keep hitting your goals, there is not much to play for. 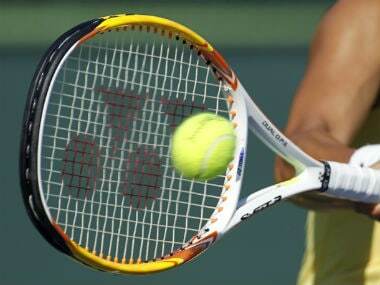 You add something," Paes said after winning his first round match in Pune Challenger alongside Ramkumar Ramanathan. It was Paes' first appearance in India in a Challenger event since December 1997 when he played in Ahmedabad with Nitin Kirrtane. 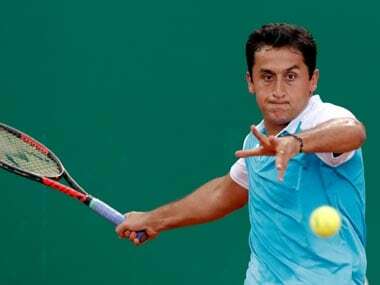 He and Ramkumar beat Sidharth Rawat and Anvit Bendre 6-3 6-4 to progress to the quarterfinals. Paes revealed that he won't be playing Andre Begemann with whom he won two Challenger titles (Busan and Biella) and ended runners-up in two ATP 250 events (St Petersburg and Winston-Salem). Paes said picking a partner has become tricky. "I am looking at a partner for next year. 20 looks like a nice number. A lot of jumbling has happened this year, if you look at teams, not one team has dominated. There was a lot of mix-up," he said. "I will be going into training for four weeks. I am lot fitter than what I was 10 months back," he added. Asked about his decision to play in India in a Challenger, Paes said he wanted to support Indian tournaments. He made a point in saying that he picked Ramkumar to play even as he had the option to bring any big player from outside. "I am hungry, passionate about tennis. It's first time I am playing here. Speed of the court is fantastic. Wherever I am playing and I am looking to entertain people and help out youngsters. I am looking to spread how tennis can be a great profession. To create passion for tennis, and if we can do that a bigger group may be playing tennis in four years, maybe in 10 years from now someone can be winning an Olympic medal (for India). "I could have brought any other regular partner with whom I play on the tour, but to support Ram and play with him was great fun. I played with Saketh in the Davis Cup and it would have been great had I got a chance to play with him here or in the future," he said. 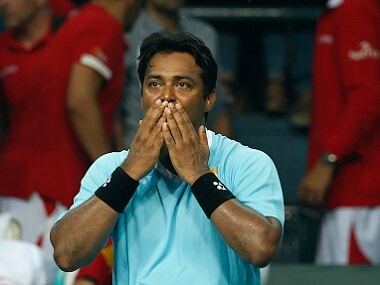 Paes also praised 21-year-old Ramkumar, saying their respective games are complementary. 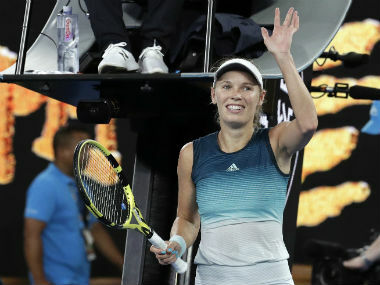 "At this stage of my career, I feel it's also my job to motivate these youngsters, help them with their game and take part in home tournaments. Though it's for the first time that we have been playing together, the on-court chemistry has been of great. "For me, Ram was an obvious choice as I liked his game style. He's got a good back-hand return, his groundstrokes are amazing, we both have big serves... And it's not only that he follows whatever I ask him to do. "There are situations and were even in this game where he asked me to follow a specific style and routine. Like I can jump at the net whereas his returns are brilliant. That's the combination that kept us going," he said. "We won the first set fairly comfortably with two breaks, and then he comes up and says 'Let's play eye-formation.' I was completely taken aback but then I went ahead with that and this is what I like about him," he added. Paes said he was glad to see so many Indians now plating tennis in India. "I'm quite excited to see the number of youngsters who're taking up tennis. I mean there are so many options to choose a doubles partner. Even the two young boys who we played against today were good players," he said. Paes also praised the tennis facility at Balewadi Sports Complex. "This is a fantastic court. It's the first time that I've been playing here and what I saw was fantastic. It's really fast. The bounce, speed, everything was perfect. I prefer such courts."